Carditis is a broad term to describe inflammation of the heart or the thin lining around it. Although the condition can affect a person of any age, some types are more likely to be seen in the elderly. It can reach a point where it is life threatening, especially if it is left untreated or occurs in the backdrop of other heart diseases, which are more common in seniors. Carditis needs to be properly understood, as each type has different implications and may require different treatment regimens. Epicardium – outer lining which is continuous with a pericardial lining. Pericardium – thin double-layered sac around the heart. This is inflammation of the inner lining of the heart which is in contact with the circulating blood. Since the heart valves are an extension of the endocardium, it is also affected in endocarditis. People with damaged or artificial heart valves, or have congenital heart defects are more likely to suffer with endocarditis. It is caused by microbes that enter the bloodstream and also, in particular, bacteria. These microbes can gain entry into the bloodstream through obvious routes like intravenous needles or open wounds in the skin. However, it is also possible for endocarditis to arise from everyday activities like brushing the teeth. Myocarditis is inflammation of the middle muscular layer of the heart. 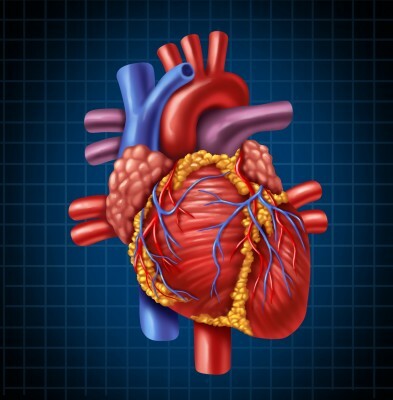 Since the heart is essentially a pump, it needs strong muscles that can remain active throughout life. Therefore, the myocardium is the thickest portion of the heart wall. Myocarditis also arises from infections. Viruses are more often the cause, but it can also be due to bacteria, fungi and parasites. Certain medication, illegal street drugs and autoimmune diseases may also cause myocarditis. Pericarditis is inflammation of the lining around the heart. The majority of cases of pericarditis are due to unknown causes, although viral infection is suspected. An infection with bacteria may also cause pericarditis. Other causes of pericarditis include certain autoimmune diseases, injury to the heart and heart lining, serious chronic diseases like kidney failure, cancer and AIDS, and with medication. A significant cause of pericarditis in older people is when it occurs after a heart attack or heart surgery, in which case it is known as Dressler’s syndrome. Between the two layers of the pericardium is a space where a small amount of lubricating fluid is normally contained. In pericarditis the amount of fluid can increase and this is known as pericardial effusion. Sometimes this fluid build-up can be major, thereby preventing the heart from pumping properly. This condition is known as a cardiac tamponade. Long term or severe pericarditis, or other injuries to the pericardium, can cause scar tissue to form on it. The pericardium then loses its natural flexibility and the stiffness hampers the pumping of the heart – a condition known as constrictive pericarditis. Eating a naturally healthy breakfast every morning makes you less likely to suffer a heart attack.